The 18mm Heavy-Duty Utility Knife with Extended-Depth and Carpet Tuck Tool is ideal for cutting carpet and thick materials. 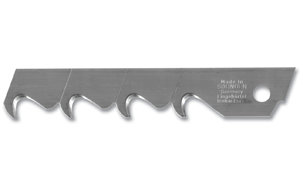 This ratchet-wheel blade lock knife features an extended stainless steel channel that allows for additional blade segments to be extended for greater cutting depth while still maintaining solid blade support. 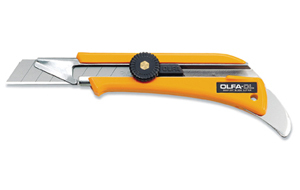 The extended segments allow for over 1-inch of blade exposure for deep cuts. The durable handle is made from ABS plastic. The handle also includes a built-in multi-purpose pick for tucking carpet, removing staples, prying, and more. 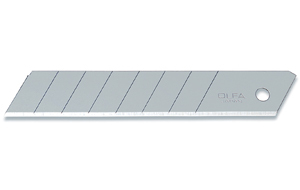 Pre-loaded with an 18mm LB Heavy-Duty Silver Snap-Off Blade, this knife is ideal for heavy-duty cuts through thick materials including carpet, linoleum, and rubber, as well as drywall, roofing, and more. Comes with 1 LB blade. 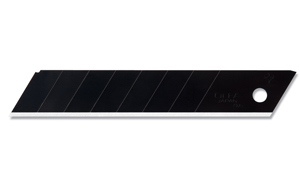 Uses Replacement Blades LB, LBB, LH and L-SOL. Works great for cutting carpet, linoleum, ceiling tiles, etc.